Windows Phone update is ‘bricking’ certain devices, reports WinRumors. 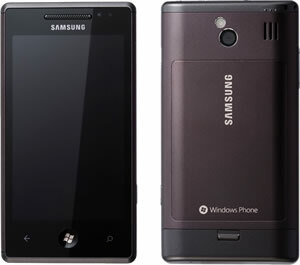 Some users of Samsung’s Omnia 7 phone noticed that after the update their device no longer operates at all. The first Windows Phone 7 update was made available to all WP7 users on Monday. According to Microsoft, the update merely patched the updating process itself, making future updates smoother and easier. The problem seems to have stemmed from those whose update failed during a point where the device can be manually restarted. For a the Samsung phones, this process can corrupt the firmware of the phone, rendering it inoperable. So what do users do if the latest Windows Phone update bricks their phone? Well, carrier customer service, it seems. Microsoft has not issued any official plan on how it intends to deal with those who lose their phones during the update process and it is unknown exactly how many owners have been affected or bricked at this point. Have you experienced any problems with the first Windows Phone update? If so, Microsoft’s Twitter support team has been fairly responsive.